An effective technique in documentary filmmaking and onscreen interviewing of any sort is the subtle use of Silence. In Silence lies the key to deeper meaning, more intimate responses, heartfelt authenticity, intensity. When asked a question by the interviewer, the subject generally answers with top-of-the-mind, ofttimes practiced or rehearsed responses. This is especially true of those who are in positions of being interviewed regularly. In the silence at the end of the answer lies the key to deeper, more intimate, more authentic statements, comments, expression. The experienced and sensitive interviewer allows that silence to be; s/he quietly allows the quiet to become almost uncomfortable. Rather than instinctively filling that gap with a comment or follow-up question, the interviewer sits calmly, looking the subject in the eye with empathy and curiosity; waits and allows the subject to fill that void. And that’s when the Good Stuff shows up. 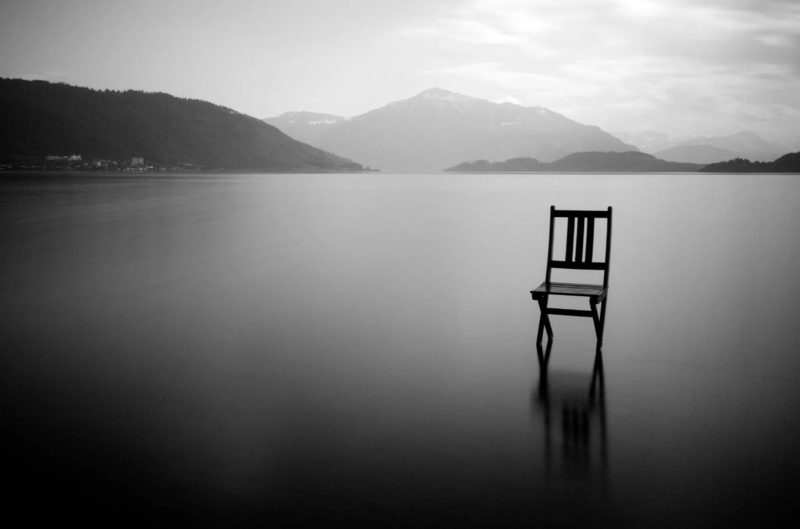 Silence…Quiet…is an integral part of the Creative Process. After the download, post-input, interviews and research, comes the moment when – as I articulate it – one must hand things over to the Muse. There is a rhythm to Creativity; after taking-in all the relevance, priorities, strategies and vision; the Creative Mind needs Peace. Quiet time in which the subconscious mind – One’s Muse – can sift and sort, explore possibility, mold ideas and concepts. This rhythm is difficult to protect in the world of agencies, global entertainment conglomerates and corporations. As pressure builds to deliver on a spreadsheet-inspired deadline; having the time to creatively ruminate and allow one’s innate talents to apply themselves can become a hard-fought and often lost battle. It ain’t toothpaste, though, n’est-çe pas? The best ideas are rarely squeezed out in the instant. It’s no surprise that some of the best ideas show up on long flights, long drives, long walks, through meditation or the old standby, Sleeping on It. During extended periods without input, the mind will do amazing things. Of course one can come up with cool and exciting work on the spot – and sometimes that can be a great idea. However, no matter how good the First Idea, a night of sleep, an afternoon in a park (themed or verdant) will very likely yield something far better. And, it can save money in the long run; but that’s another topic for another time. In the ideation phase of a project or program, when a group is gathered in charrette or brainstorm, building in quiet moments – even a random, solitary and device-free hour for the participants to simply sit or walk and think to themselves – can show up in exciting ways when the group reconvenes. Those minds were recruited to the team for a reason; this simple approach will yield better product by allowing the minds to stretch. Just as the relaxed muscle will push the runner off the block with greater speed and power; giving these minds a Moment to relax will bring them back to the table regenerated and likely with vastly evolved ideas and concepts. It’s easy, in the excitement of the birth of one fantastic idea after another, to short-circuit the most fruitful exchange of ideas and concomitant successive inspiration of one idea into another simply by interrupting. It’s easy; we’re all excited. The discipline of supporting the active listening to every shared idea rests on the shoulders of the Director of that process or meeting. Eyes and ears open, watching the faces of the team and ascertaining that every light that ignites thereon is expressed will inspire confidence and alleviate the self-imposed pressure that can materialize in such crucibles. Seeing to it that the pressure is not felt through creative sessions, giving each member time to think and articulate – while it may feel as though this slows things down – will actually deepen the experience and enhance development of the concepts. Seriously. Try it, maybe. Coincidentally, as I was considering a short post on this, I came across this articulate video on how Silence affects the brain. …as well as this exceptional 7-minute read on how to avoid sabotaging one’s creativity by Jack Preston King. He goes much deeper into the philosophies and psychologies of the rhythm of the creative process and is far more articulate than I.